Writing my tongue-in-cheek expose of London's pretentious and expensive side here made me want to shift my focus onto ways to enjoy London on a budget. 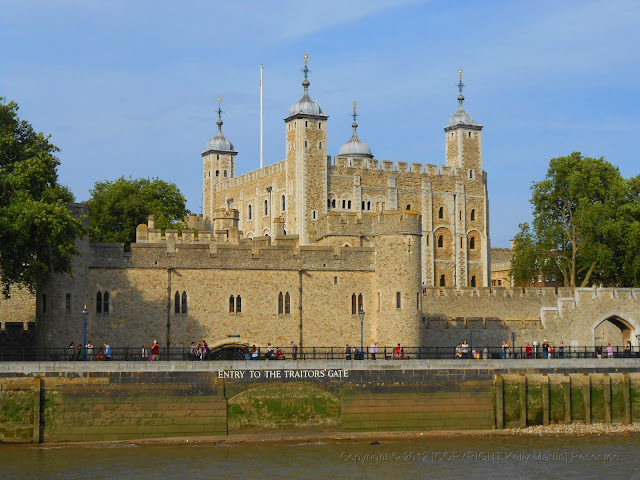 London, without a doubt, manipulates the tourist through over-charging, but if you dig a little deeper, you needn't miss out on some of the wonderful attractions and experiences that London has to offer. High class accommodation and dining aside, what can you do when in London on a budget? One of the many fantastic views from the top of the ORIGINAL TOUR COMPANY tour bus - a cheap and inexpensive hop-on hop-off service. 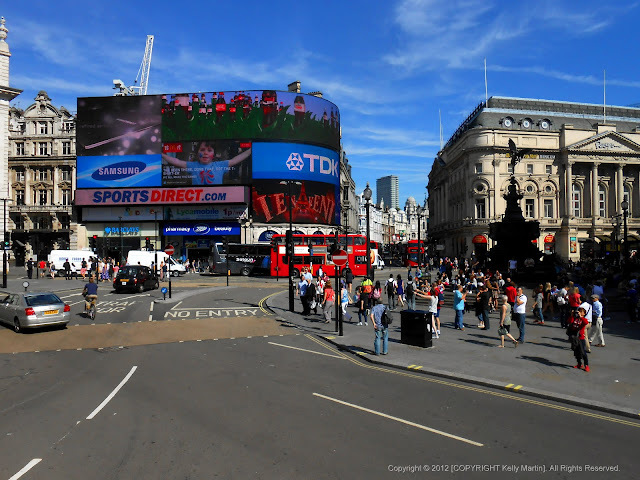 I was very surprised that I thoroughly enjoyed a tour of London on an open-top bus. I am quite an 'off the beaten track' traveller, so to experience a real tourist tour was an eye-opener and one I would happily do again. We had tickets for the Original Tour here and it was a wonderful introduction to the bustling and busy London City. It was a hop-on hop-off service and you could use it for 24 hours. It also included a complimentary river cruise from Westminster Pier to Tower Pier and back. 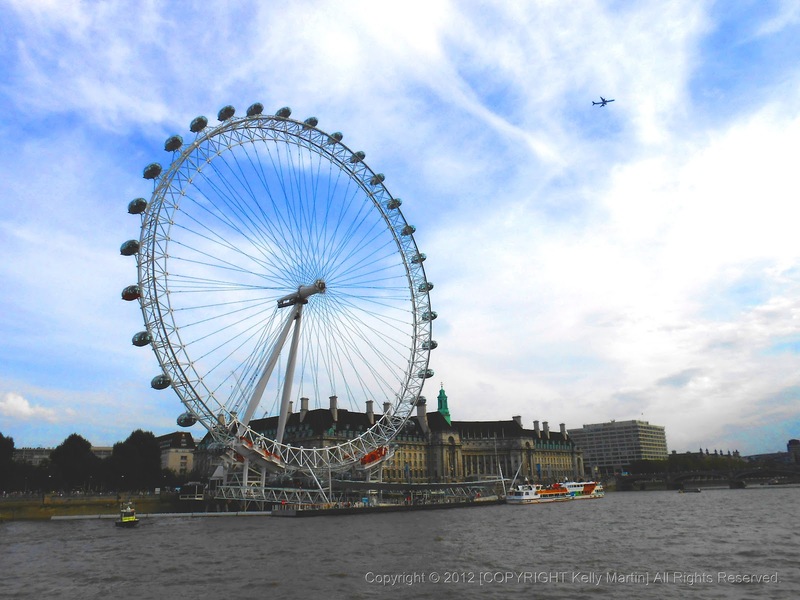 The cruise had to be used within the 24 hours, but if you are on a whistle-stop tour of London it is ideal. They also include free walking tours and a free kids club pack. Perfect for a family visit. And if you still want to pay to visit some of the attractions in London, as part of this tour you get discounts on admittance prices. So it is a win-win doing this tour. Now it may look expensive (at the moment £23 per adult) but when you add up the 1 hour 30 minute tour, free cruise, free walking tours, it is a good deal. The bus route we took was the ORIGINAL route which had live English commentary for the whole trip. They also provide multi-language commentaries. We were blessed to have a wonderful sunny day and the commentator, being from my home town of Newcastle, was very down to earth and very amusing. I learnt a great deal about London that I did not know (even though I am British) and some unknown facts that made me laugh out loud. The commentary was not over-the-top but brought things together really well. from the roof of the Original Tour Company bus. The views of London were possibly some of the best on my trip. I took some of my best photos on the tours and seeing from a bird's eye view gave a different perspective of well known landmarks. 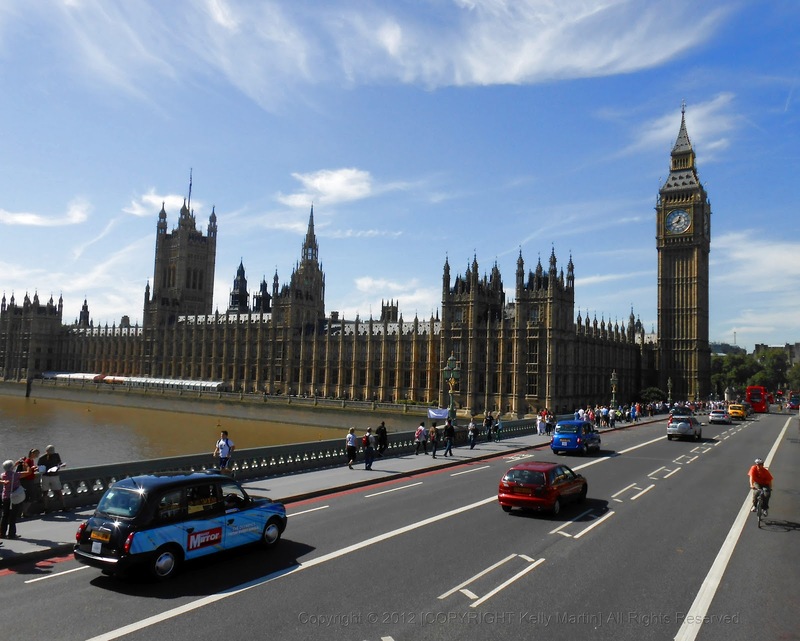 Even though some of the London attractions are too expensive for those on a budget, the view of architecture and overall picture via a tour bus is fantastic. In addition to this tour I also took a cruise down the Thames to Greenwich. 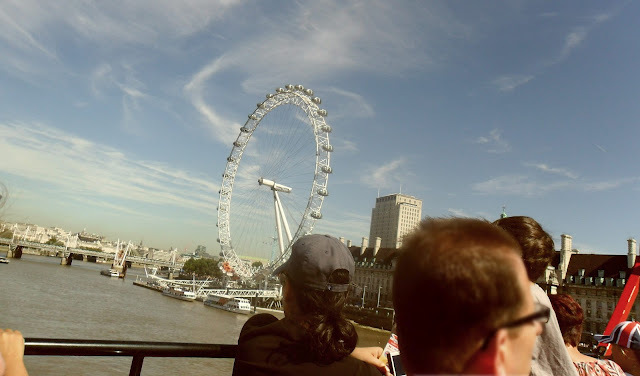 Now this was not the free tour included, but we booked through CITY CRUISES and paid for a RED ROVER (hop-on hop-off) ticket as we got a 2 for 1 discount through travelling via National Express to London. As I understand, there are discounts for other companies if you travel by rail to London. Keep an eye out for special deals for London before you arrive. It is worthwhile also booking in advance. This trip cost us £19 in total with our National Express discount. You can also buy return tickets at £14.25 per adult (discounts for children, seniors and students). This was a beautiful cruise - seeing London from the water was a mesmerising experience. It really helps you settle into London life and takes you out of the hustle and bustle for a while. 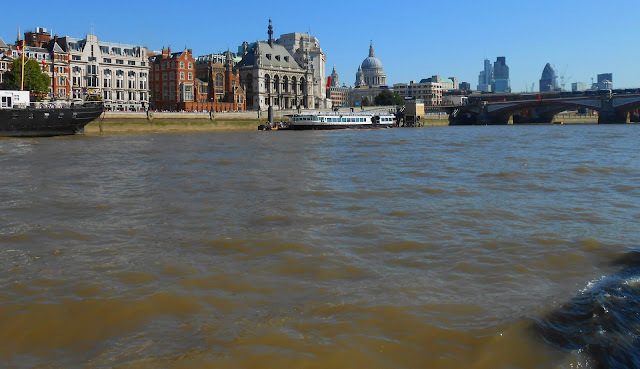 And one bonus being that many of the London landmarks are along the Thames river. Now, Greenwich was a beautiful place to visit. It was a 3-hour round trip and worth every penny. 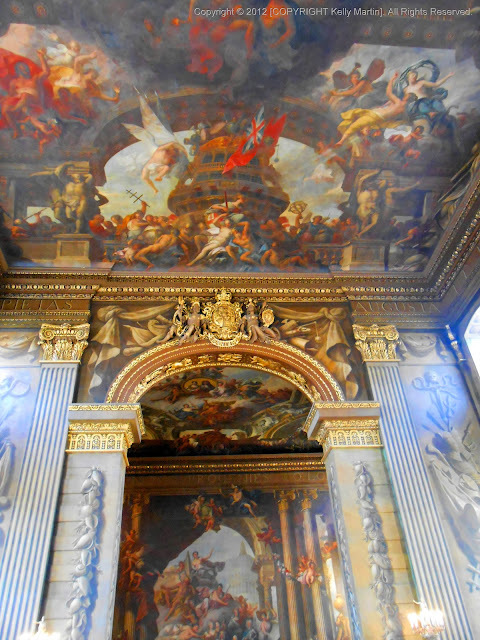 We did not pay to get into any of the attractions (see here for my tongue-in-cheek blog on London for reasons why) but thoroughly enjoyed the free attractions in Greenwich. After alighting the cruise boat, we walked away from the pier at Greenwich. 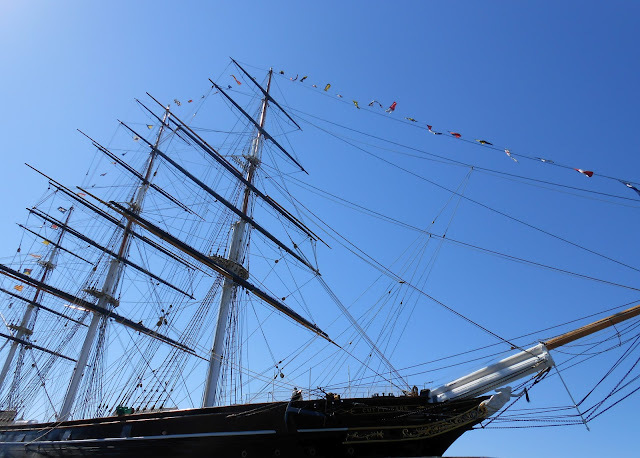 Only a minute away you will get to see the beautiful Cutty Sark. You can pay to enter it but we didn't, we just enjoyed the view from outside. As we arrived around lunch-time we decided to go find somewhere to eat. 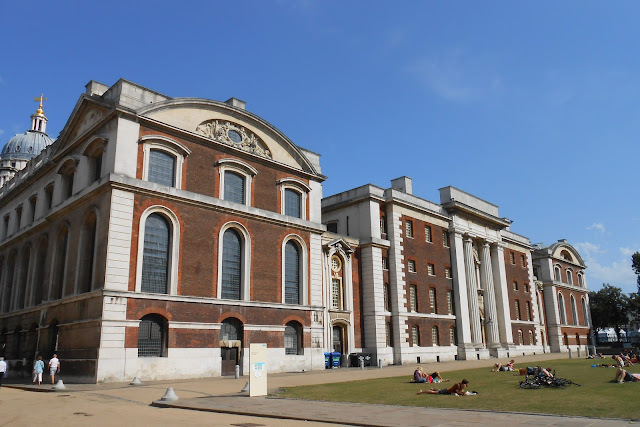 If you are looking for somewhere to eat as inexpensive as you can in a tourist place like Greenwich all you need to do is walk a little up King William walk. This goes for any major tourist place, walk a little further than many people do and you can reach pubs and cafes that tend to be a little cheaper to eat in. I was very happy that my hawk eyes spotted a pub on the right hand side that took about 5 minutes to reach. 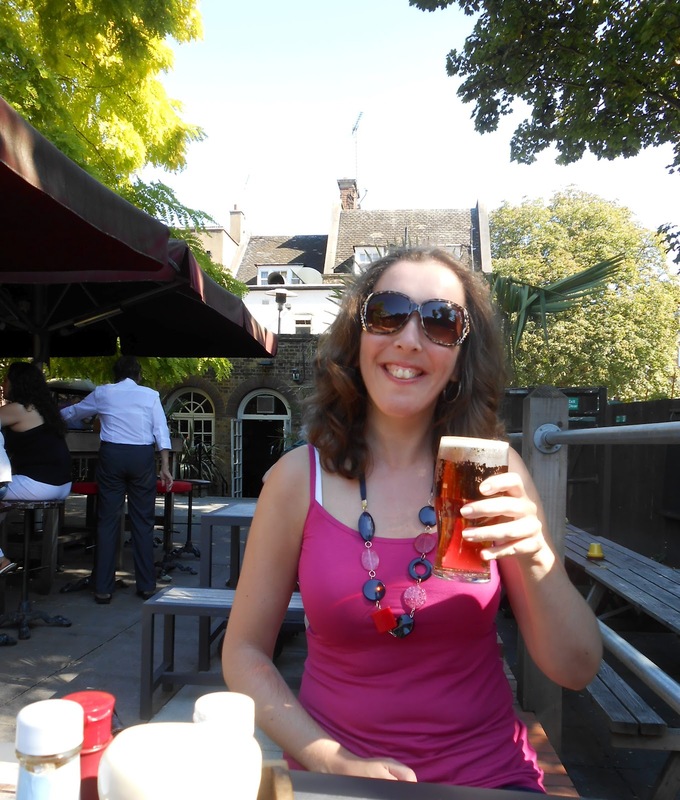 It was called the Kings Arms. Through the pub is a delightful beer garden, peaceful, with areas of shade and sun. We also noticed after dining here, if you were prepared to walk a little further up another pub and more cheap eateries are also available. 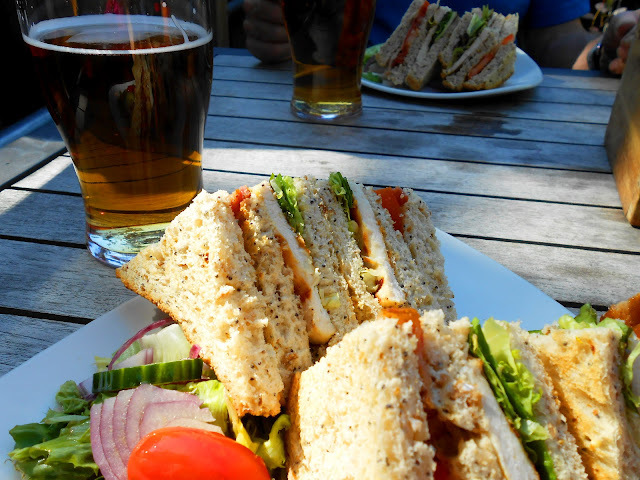 At the Kings Arms you can get lunch for under £5 if you are happy with a sandwich which is ideal if you have a large family. They also do some good British classics like sausages served with bubble and squeak for £6.95. Our meal came to approximately £17 in total and we had Farm-assured Chicken & Streaky Bacon Club with a side of chips and 2 pints of bitter shandy. Thoroughly enjoyed myself and it was very filling. After a delightful lunch we wandered through Greenwich. We took a long walk up to the Royal Observatory and the famous Greenwich Meantime attraction. Unfortunately because it was the time of the Paralympics we had to walk along the road due to gate closures but I imagine everything is back to normal now and you can walk up through the park under the shade of the trees. Once we arrived at the Greenwich Meantime attraction there is a lovely view of London. Lots of great photo opportunities too, BUT, the only way you can stand on the line between east and west is to pay £7. We preferred not to. This was not on our shoestring budget. So we just laughed, admired the view, peered through the bars at people paying to stand on the imaginary line (time is an illusion I feel) and walked back into town. If you do want a free attaction, when at the top you can visit the Astronomy centre. The top of the park is also a lovely place in the summer to sunbathe or to have a picnic. What I highly recommend is a lovely ice cream cornet on your way back down. There are a few ice cream shops on King William Walk and on the left you will find a little one in an alley selling scrummy ice cream. I opted for the banana and toffee flavour - it was delish! After this we wandered down King William Walk into the Old Naval College. This was a lovely afternoon of free attractions. Here you can visit the National Maritime Museum and The Queen's House and The Painted Hall. Writing this blog I realised we had missed the Queen's House regrettably as my feet were hurting from blisters, so we had to take it easy, but we did see the fabulous Painted Hall and Chapel which blew me away. Awe-inspiring beauty. 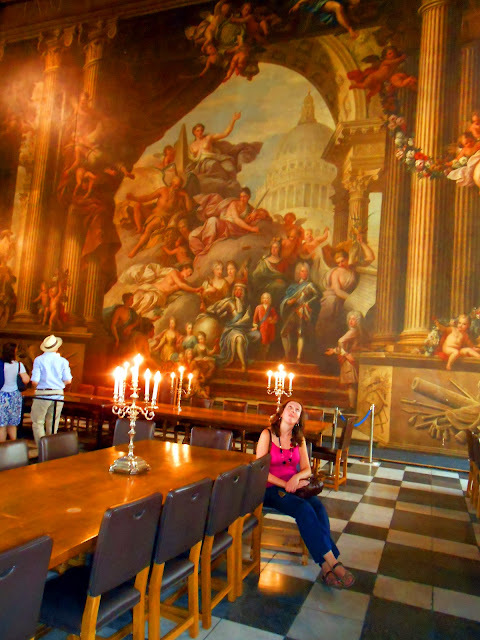 The Painted Hall is often said to be the finest dining hall in Europe. The Neo-Classical chapel was outstanding also. Overall Greenwich is a lovely little trip out from London and a really relaxing visit. 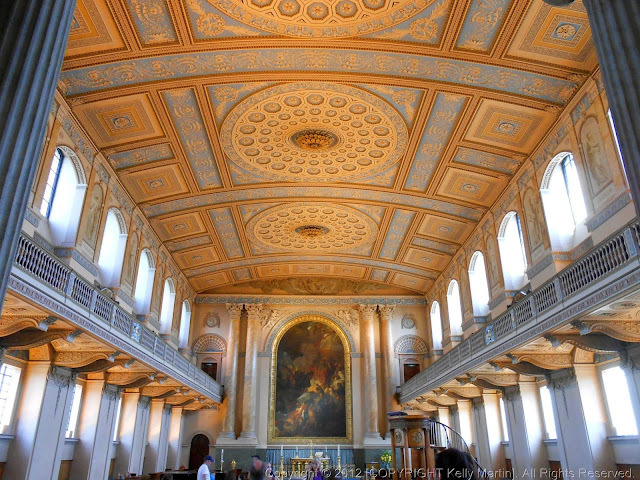 Greenwich - a lovely place to simply wile away the hours. We continued our cruise back passing many landmarks along the way and really chilled out for the afternoon. 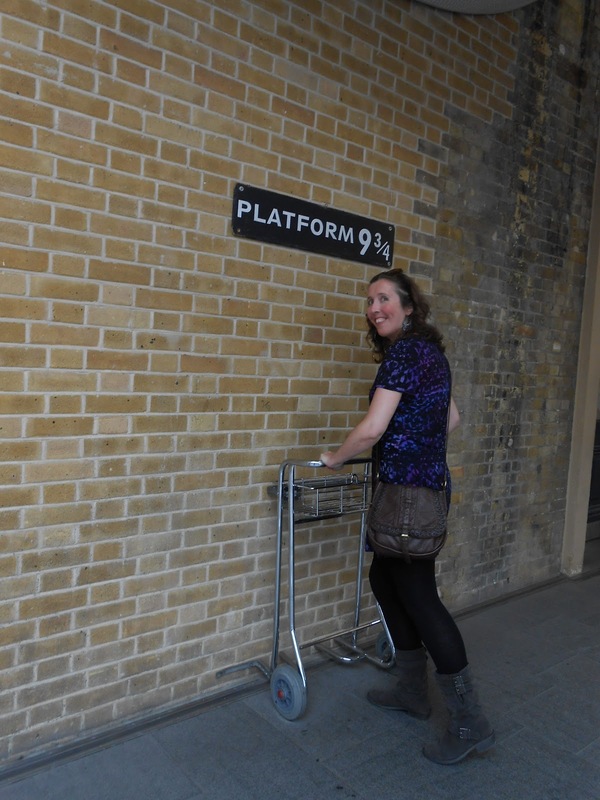 On my 3 days in London we discovered other free attractions, and as a passionate Harry Potter fan I enjoyed my visit to Kings Cross, where I got to not only marvel at the interior design but also to re-enact a scene from the movie. 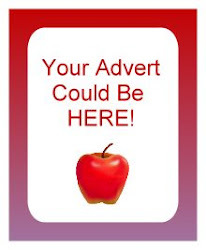 If you have it in your budget I recommend a travel-card for at least one day of your stay. You get to see a lot more and reduce the sore feet from all the walking by taking the underground. It also takes you to places like Kings Cross, and, if you are a Harry Potter fan it takes you through the London Tube which was also part of a couple of the movies. We bought a peak travel card which took us through zones 1-2, many of the attractions are in zone 1 so you could probably get a cheaper card than we did. We had a meal booked in Camden Town which was the reason we opted for the 1-2 zone. It cost us £8.30 for the day and we could use it any time. 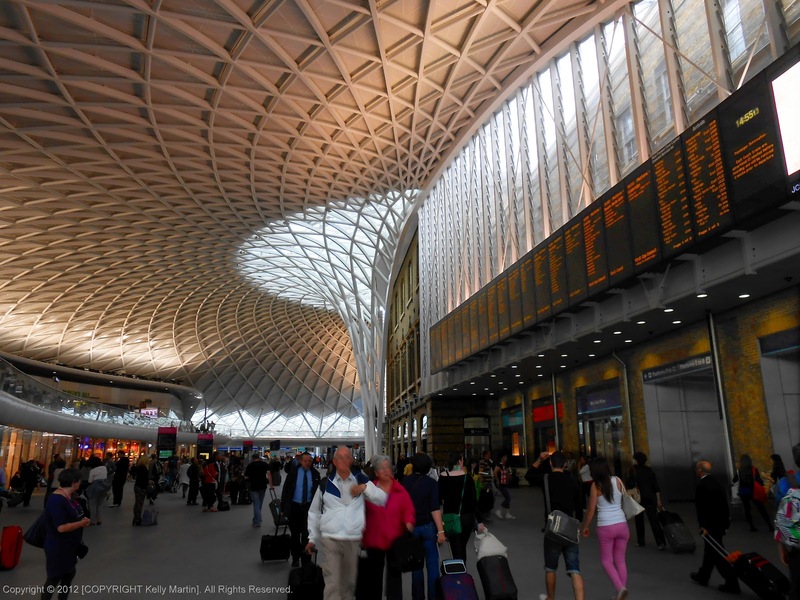 We made good use of the ticket and enjoyed visiting Kings Cross and taking a trip to Mansion House tube station where we walked to the Millennium Bridge often know as the 'wobbly bridge'. When it was first constructed it had to be closed down after an hour as it was shaking so badly that people had to cling to the sides. Fortunately now it is very secure and also one of the famous opening scenes in Harry Potter and the Half Blood Prince. 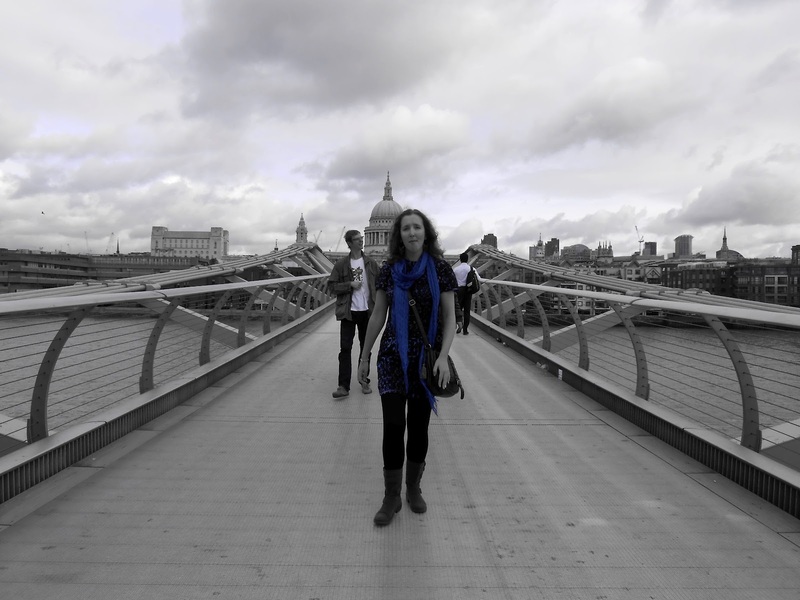 The Millennium Bridge has fantastic views across the water to Tower Bridge and also has a great view to St Paul's in the background. A great place for fantastic photo opportunities. This amazing structure also takes you to the almost free Tate Modern Art Gallery. I say almost, because most of it is free apart from a few paid-for exhibitions. 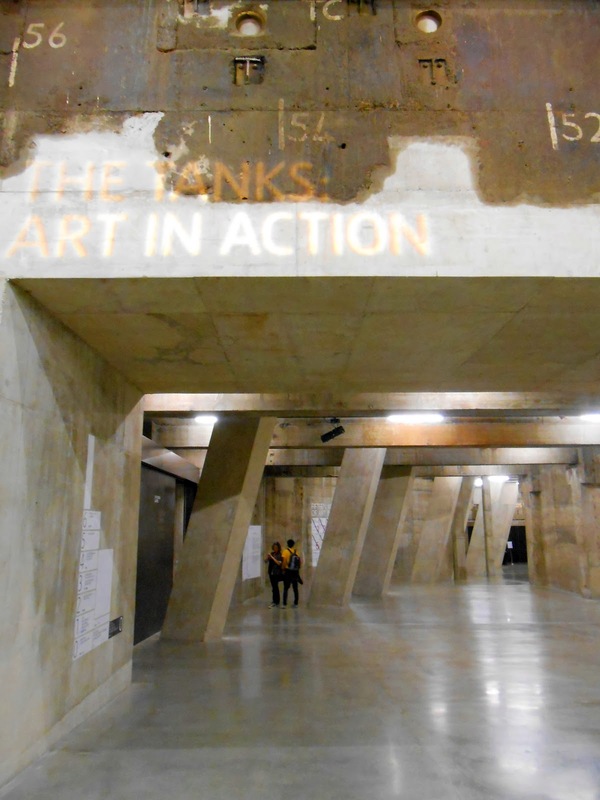 When we visited they had just opened a new exhibition space called 'The Tanks'. I loved this space. The higher floors were not my cup of tea but I loved the feel, ambience and sensory experience in the Tanks. The exhibitions that were on when we were there were the wonderful Sung Hwan Kim exhibition, Lis Rhodes Light Music and Suzanne Lacy's The Crystal Quilt. They wove together art in a fusion of colour, sound and light. It was really physical and emotional art. We had breakfast at the Tate Modern. I opted for a cup of Cappuccino and a Pain au Chocolat and Mike had a Cappuccino and Pain au Raisin it came to £10.30 which is not bad by London standards. 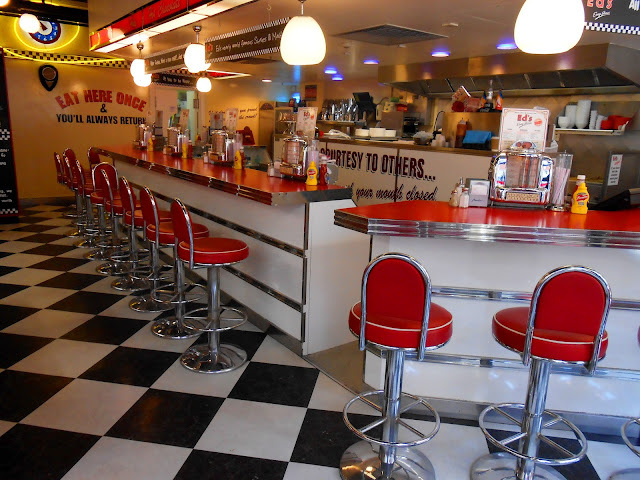 Another place we enjoyed eating on a budget was at Ed's Easy Diner in Trocadero. Now this is not posh cuisine by any standards, it is easy, American-style food that tastes good and is perfect for a quick breakfast, lunch or dinner. They do a wide range of foods, milkshakes and desserts. 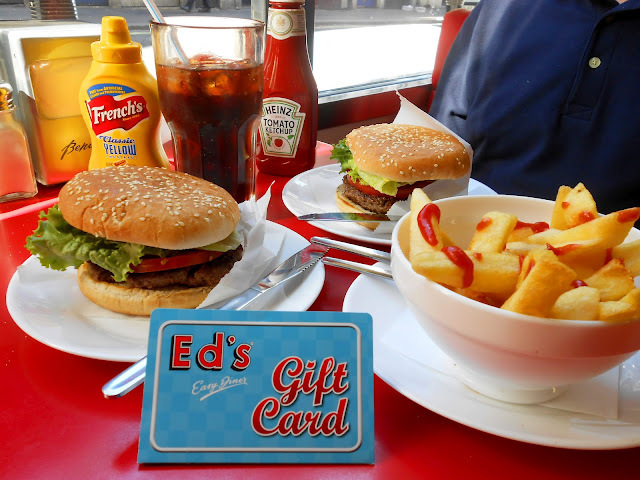 Ed's Easy Diner - 19 Ruperts Street was a great place for lunch or brunch or even breakfast. And if you are booked on the Original Tour it is only a short walk to the start of the longest tour route. We opted for 2 Original burgers with a portion of fries and Mike had an unlimited refill coffee and I had a large Cherry Coke. They also do some wonderful milkshakes, maybe I will try this next time. 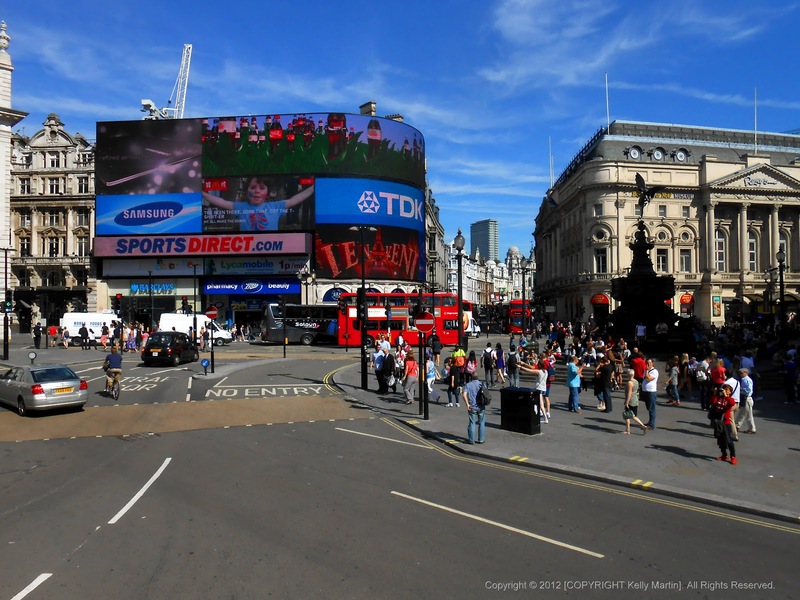 The other mainly free activities to do in London is to visit the wide array of museums and other art galleries. These will keep adults and children entertained for hours. We realised for a family to visit London and pay to see attractions they may spend over £100 a day and that is not counting dining out so see as many free things as you can and keep your food budget down by visiting pubs, diners and looking for meal deals on-line in the area before arriving. The Science Museum was a good visit and so is the Natural History Museum. But overall, many of the major sites look just as fabulous from the outside and some of the smaller churches are free to enter. Do not feel forced to offer a donation at the free museums if asked. You do not need to pay and like many free attractions they probably find asking for a donation makes people feel guilty and they give in. Be strong, and just walk on through. It was easy! I sincerely hope you enjoy your stay. And regarding accommodation, avoid areas like Belgravia, opting for some of the cheaper areas. My Aunt said her hotel was fabulous and that was in the Euston area of London. Just check out the reviews (good or bad) on tripadvisor before booking. See a show if you can - if not, organise your trip around a free festival as there are lots of free events that take place in London. The beginning of September is a good time as it is when the Thames Festival is on, lots of music, dancing, art and a firework show to end the festival. Otherwise after all the sightseeing, after your evening meal you may simply want to sink into your bed and go to sleep. I hope you enjoy your trip! stay in exclusive Chelsea London from just £65 per night! check out www.nellgwynnpods.co.uk now!